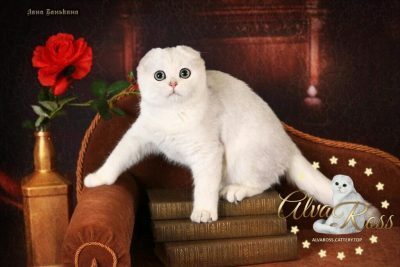 Looking for Scottish Fold silver chinchilla photo? Welcome to the site of our cattery! On this page, which will be regularly updated, we will post pictures of our breeding cats and kittens of this color. 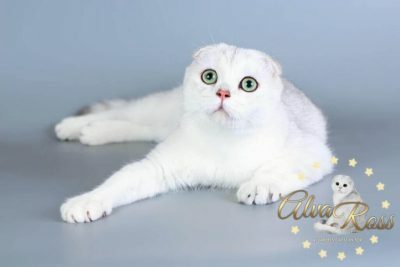 Thus, it will be possible to see the development of the color from the moment of the birth of a kitten and the way the Scottish Fold silver chinchilla looks in the photo in adulthood. 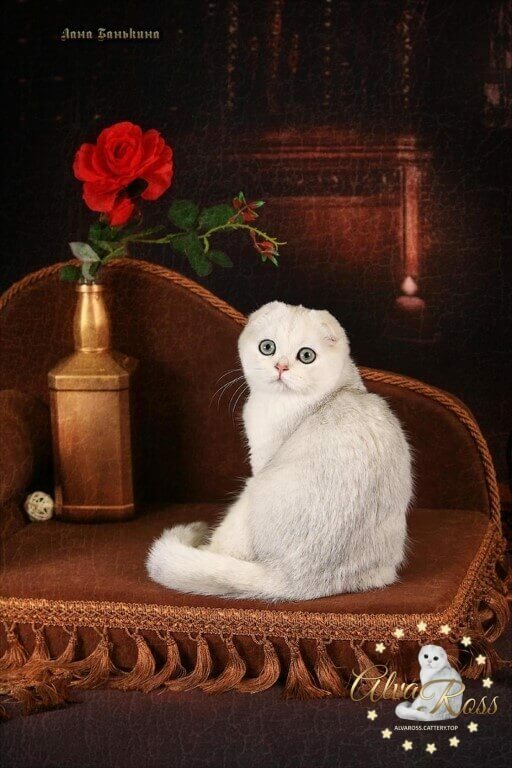 What distinguishes "chinchilla" color from "silver shaded" color? 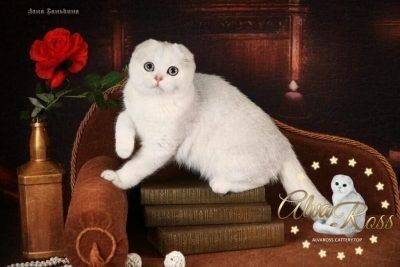 Scottish cats of chinchilla color (ns 11) have well-colored each tip of the cover hair (about 1/3 of the hair), and the rest of the hair is pale. 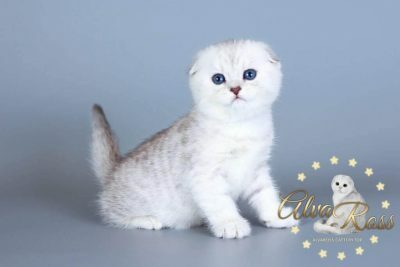 Due to this special kind of color, which is called "tipping" in the terminology of professional breeders, all the hair look slightly colored, and, consequently, the tabby effect is not active. 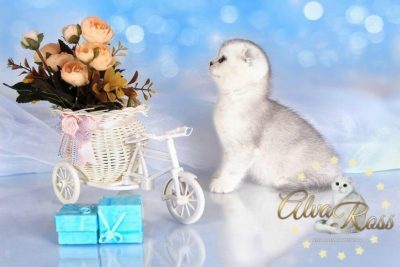 The degree of tipping in chinchillas is negligible, so at first glance it may seem that the cat is white, but if you look closely, you can see that the color of the cat seems to sparkle. And if we talk about shaded silver (ns 12), then the coloring of each covering hair begins much higher. In this kind of color, the colored tips are shorter (about 1/8 of the hair) than in the color of the "chinchilla", so the cats of this color are lighter, they have a white undercoat. Chin, abdomen and ears, according to the standard, should only be white. Dark hairs on the paws and between the fingers are a defect for this color.